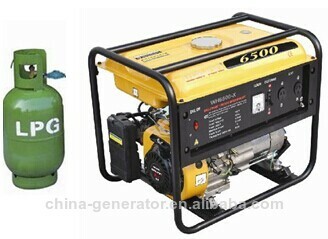 "Your solution to backup power generation"
DONT GET CAUGHT THIS SUMMER WHEN THE POWER GOES OFF !! Suitable for domestic or commercial uses, on the farm, commercial refrigeration, power tools etc. Don't let your business suffer due to power loss. 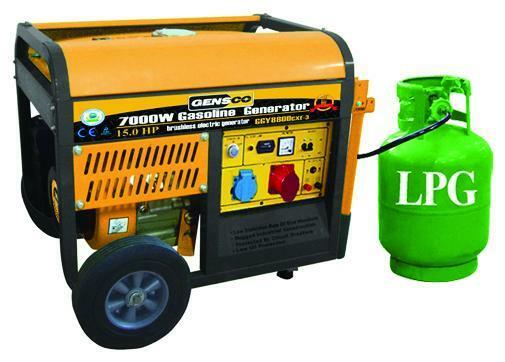 Great for the tradie or on the farm, portable power, strap to the back of the ute, no spill gas bottle. Single or 3 phase. Using LPG is very efficient, secure safe non spill storage via gas bottle, longer run out times, using a 45kg bottle will extend the usage time to about 30 hours non stop. Gasoline and diesel deteriorate if not used for long periods and requires draining and cleaning of the carburettor, not clean burning LPG. 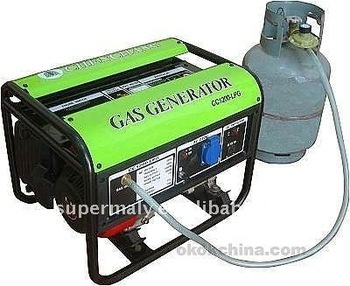 An LPG Generator is quieter than a petrol or diesel with far less smelly fumes. Just like running your BBQ. LPG gas can be stored for years safely. 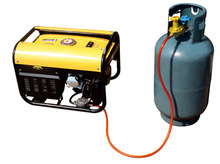 Many GAS distributors will deliver and swap larger gas bottles to your home or business. When you buy a generator you need a unit large enough to run power tools, equipment and machinery we believe the minimum is a 7kw unit, however smaller units are available. Due to significant sales instant delivery can be delayed, dont wait until the Grid goes down to call, telephone us now and we can answer all your questions and get you ready for any emergency.